A monograph entitled Amendments to the Code of Civil Procedure edited by Dr hab. Agnieszka Góra-Błaszczykowska has recently been published. 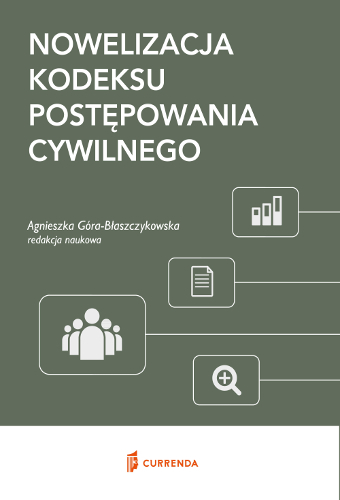 It contains a chapter written by Bartosz Karolczyk, Associate in DZP’s Dispute Resolution Practice, entitled "Need for new codification of civil procedural law and the structure of evidentiary proceedings de lege ferenda". The chapter is dedicated to aspects of evidentiary proceedings in the current legal regime that the author has most frequently encountered in practice. Based on his experiences, Dr Karolczyk discusses the main directives that are aimed at improving the structure of evidentiary proceedings in future legislation. He calls for the leading role played by the judiciary and courts to be strengthened and extended, particularly by broadening judicial powers and sanctions for parties’ procedural failures and by introducing mechanisms giving effective access to evidence that is beyond the parties’ control. As the authors of the texts included in this publication are representatives of various academic environments and various legal professions, the monograph is aimed at practising lawyers seeking solutions to problems arising in their day-to-day work.